Laura Youderian was born on 16 December 1951. She died on 10 December 1986 at age 34. [S869] Jean E. Perreault, Bloomfield 1930 Census, page 107. [S807] Find A Grave, online http://www.findagrave.com, Find A Grave, database and images (https://www.findagrave.com : accessed 12 March 2019), memorial page for Harold J Watkins (12 Jun 1894–19 Jul 1962), Find A Grave Memorial no. 174648476, citing Mountain View Cemetery, Bloomfield, Hartford County, Connecticut, USA ; Maintained by P Welch (contributor 48054934) . Harold served in the Army in WWII. Harold Watkins was born on 2 February 1924 at CT. 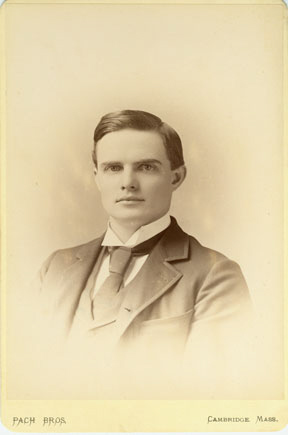 He was the son of Harold Julius Watkins and Edith Maria Holcombe. Harold Watkins died on 16 July 1971 at Avon, Hartford Co., CT, at age 47. He was buried on 19 July 1971 at Mountain View Cemetery, Bloomfield, Hartford Co., CT.
Carl Johnson was born on 24 August 1892 at West Hartford, Hartford Co., CT. 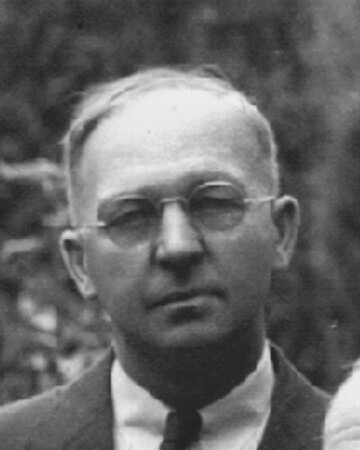 He married Clara R. Holcombe, daughter of Henry Wells Holcombe and Hannah Marie Neilson, in 1926. Carl Johnson died on 23 December 1966 at West Hartford, Hartford Co., CT, at age 74. He was buried on 24 December 1966 at West Hartford, Hartford Co., CT.
Ruth E. Weiant was born on 18 January 1900 at Dorchester, Suffolk Co., MA.1 She married Henry Edward Holcombe, son of Henry Wells Holcombe and Hannah Marie Neilson, on 4 October 1924 at East Hartford, Hartford Co., CT. Ruth E. Weiant died on 11 February 1979 at New London, NH, at age 79.1,2 She was buried on 15 February 1979 at Bloomfield, Hartford Co., CT.
[S182] Social Security Death Index (on-line), Ancestry.com, SSDI, Ancestry.com, SSAN 048-16-5127. [S869] Jean E. Perreault, Bloomfield 1930 Census, page 13. [S25] Hannah McPherson, Holcombe Genealogy, Page 45.2. [S419] Carol Laun, Beneath These Stones, Page 156. [S869] Jean E. Perreault, Bloomfield 1930 Census, page 14. [S182] Social Security Death Index (on-line), Ancestry.com, SSDI, Ancestry.com, SSAN 047-12-8446. [S284] Courant, 18 December 1927. Homer Leroy Holcombe was born on 27 June 1866 at Norwich, Chenango Co., NY. He was the son of Robert Asahel Holcombe and Abigail Adeline Johnson. Homer Leroy Holcombe died on 21 December 1951 at Phoenix, Maricopa Co., AZ, at age 85. HOMER LEROY HOLCOMB, A.B. spent the first eight years of his school life near Ripley, N.Y., attending the district school. He afterwards attended the village school at that place where he prepared for entering the Fredonia Normal School. He graduated from the latter in 1887. He taught school at Ft. Lee, N.J., and Silver Creek, N.Y; entering Harvard College in 1890, graduating in 1894 with the degree of A. B. Has since taught in the Fredonia Normal School, first as critic in the Intermediate department, but later as instructor or Ancient Languages. In the summer of 1899, Holcomb took a trip abroad, which covered the British Isles. With two friends he travelled over 200 miles on top of taly-ho coaches through the English Lake Region, the Trossachs, and Lakes of Killarney. They also took a three week's trip up the Rhine and through Holland, Belgiium, Paris, and Switzerland. In 1903 he studied Greek at the Harvard Summer School, and in 1912 took a course at Columbia in the teaching of Latin, under Dr. Rouse of Cambridge, England. The photo here is inscribed on the back: "H. L. Holcomb, Harvard University '94, Ripley New York"
Homer and Grace were enumerated in the 1910 Pomfret, Chautauqua Co., NY, federal census. He was a teacher at the State Normal School, age 43; she was 37. Children in the household were Lorraine 7, Robert S. 5, Homer J. 4, Ethelyn 2, and Ronald 7 months. Homer L. and Grace were enumerated in the 1920 Pomfret, Chautauqua Co., NY, federal census. He was a teacher, age 53; she was 46. Children in the household were Lorraine E. 17, Robert S. 15, Homer J. 15, Ethelyn 12, Ronald D. 10, and Caroline P. 3. Homer L. and Grace were enumerated in the 1930 Fredonia, Chautauqua Co., NY federal census, ED 86. He was 63, she was 56. Children in the household were Ethelyn 22, and Patricia C. 13. Homer and Grace were again enumerated in Fredonia in the 1940 federal census. He was a retired teacher, age 73, she was 67. Tlhere were no children enumerated in the household. Additional information is from the University Archives, Nathan Marsh Pusey Library, Harvard University, Official Student Folder (UAIII 15.88.10). or at their website http://hul.harvard.edu/huarc. Carrie Holcombe was born on 5 May 1868. She was the daughter of Robert Asahel Holcombe and Abigail Adeline Johnson. Carrie Holcombe married (?) Stephens. Frederick was a dentist in Cherry Creek, NY. Frederick Holcombe DDS was born on 8 November 1872. He was the son of Robert Asahel Holcombe and Abigail Adeline Johnson. Harriet Holcombe was born on 26 December. She was the daughter of Robert Asahel Holcombe and Abigail Adeline Johnson. Harriet Holcombe lived at Enfield, Halifax Co., NC. Bertha Bell Holcombe was born on 21 December 1880. She was the daughter of Robert Asahel Holcombe and Abigail Adeline Johnson. Bertha Bell Holcombe married Walter Whitman Benedict on 12 August 1908 at Ripley, Chautauqua Co., NY. Bertha Bell Holcombe died on 19 November 1958 at age 77. Bertha, upon graduation from Fredonia Normal School, took a position as English Teacher in Sherburne, NY, where she met and married Walter. He was an undertaker. Edith A. Holcombe was born on 28 February 1883. She was the daughter of Robert Asahel Holcombe and Abigail Adeline Johnson. Edith was a semi-invalid and never married. Walter Whitman Benedict was born on 24 June 1881. He married Bertha Bell Holcombe, daughter of Robert Asahel Holcombe and Abigail Adeline Johnson, on 12 August 1908 at Ripley, Chautauqua Co., NY. Walter Whitman Benedict died on 18 January 1966 at age 84. Nelson Holcomb Benedict was born on 14 February 1911 at Sherburne, Chenango Co., NY. He was the son of Walter Whitman Benedict and Bertha Bell Holcombe. 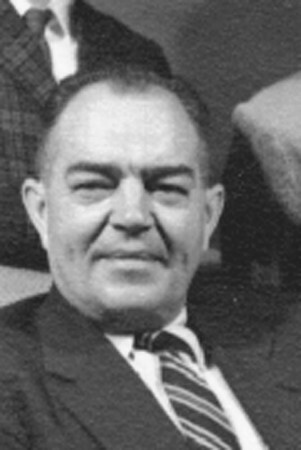 Nelson Holcomb Benedict died on 7 November 1996 at age 85. Nelson was a Cadillac dealer in Nowwich, NY. He served in World War II as a Captain in the Army. Boots now has residences in Fort Lauderdale, FL, and Norwich, NY. Raymond and Gladys were enumerated in the 1930 Simsbury, Hartford Co., CT, federal census. He was a laborer, age 41, she was 32. Children in the household were Arnold 15, Alice 11, Katherine 8, Harold 7, Alvin 4, Annie 2, and Orvis Holcomb 19. They were again enumerated in Simsbury in 1940. Raymond was a tobacco farm laborer age 50, she was 49. Children in the household were Arnold 25, Harold 18, Alvin 14, Annie 12, Janet 9, Charles 6, Raymond 3, and Wayne 7 months. [S642] Jean E. Perreault, Simsbury 1930 Census, page 77.